Thank you for taking the time to visit and explore Railfan Virginia. I'm David Hawkins, and the gears in my mind never rest! 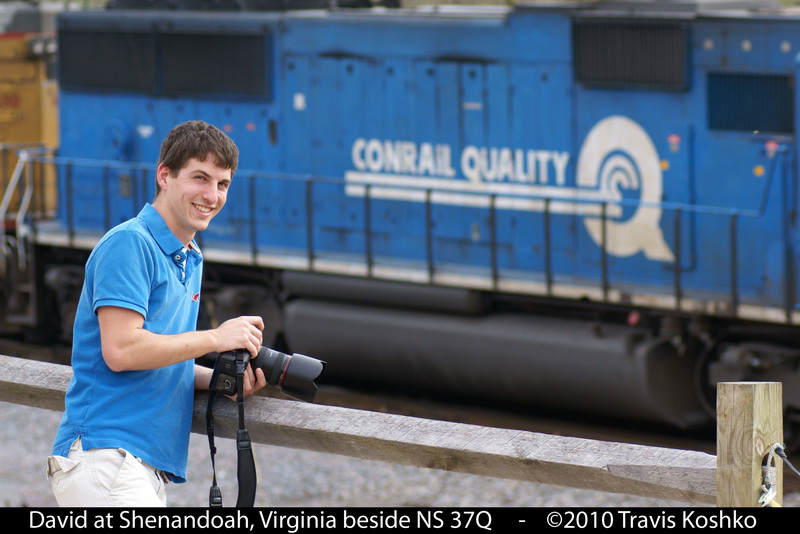 I'm a lifelong trackside-resident, and am proud to call Central Virginia my home. I've been snapping pictures since a young age, and having grown up just a stone's throw from the former Richmond, Fredericksburg & Potomac mainline, I've been at least watching trains throughout my life - I'm barely old enough to remember Amtrak's final years of F40PH's. I began capturing both moving and still images of railroad activity. But when the bug bit me, it bit hard. challenge that comes from undergraduate work towards three bachelor's degrees. We are granted one life, why not make the most of it? combined effort amongst railfans who take pride in their surroundings and locales, and the willingness to turn that pride into education for others. If you feel so inclined, take a second to link up with me on Facebook!